Do you wonder what chef has in his or her garden? If a chef has the time away from the professional kitchen, gardening can be a relaxing experience. I love getting my fingers and hands dirty by digging in the dirt and taking care of my garden. Spending time planting, weeding, and tending to my garden is a perfect way to take the stress of the day away by concentrating on the seeds, plants, and weeds. By taking something from seed to fruit has a sense of accomplishment not to mention the health benefits of consuming fresh produce grown in your backyard. My garden is an ever-changing space located in my backyard. When we moved into our house, having a garden was something that I wanted to tend. The garden started by receiving a planter of herbs from my mother-in-law when she won it a give-away. She did not think she would use it or have success in growing the herbs. So the garden started as a simple herb garden with thyme, oregano, chives, sage, and lavender. I have expanded the selection to having grape vines, carrots, romaine lettuce, spinach, and tomatoes. I have harvested the tomatoes, the carrots, and a surprising amount of grapes off the vine which will be made into wine grape jelly. I have tried to grow pumpkins but they got some mold on them which killed any chance of the plants fruiting. I would love to expand the garden, but it is very hard to find good, consistent sunshine since my neighbors and I have large shade-bearing trees. In addition, the soil is slowly getting better over the years because I keep adding my compost to it. 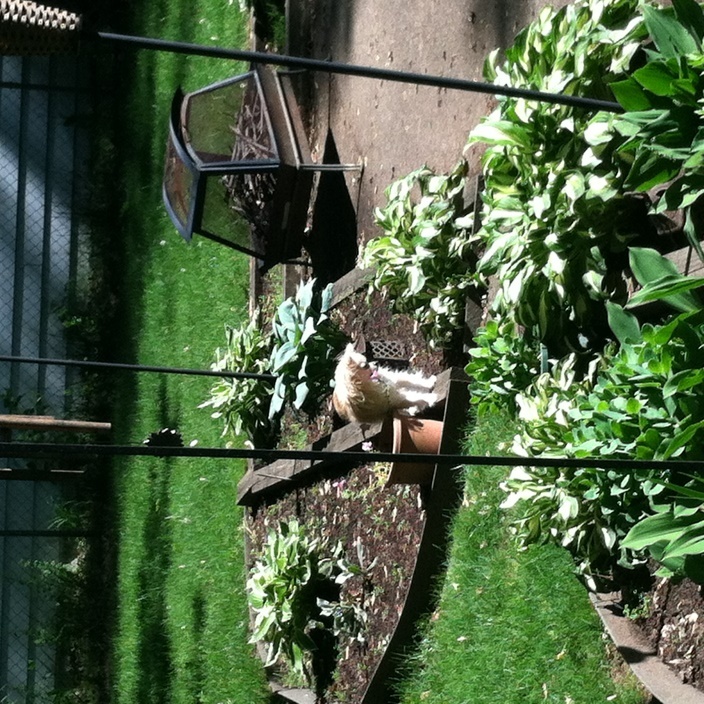 View of the hosta world with our garden assistant! Aside from the herbs, flowers have done very well in my yard. The funny thing is that most of those plants are not purchase except for a few ones that I bought on clearance at local greenhouses. A good amount of the hostas in my yard are passed down from my mom’s garden back in Wisconsin before my parents moved out of my childhood home. 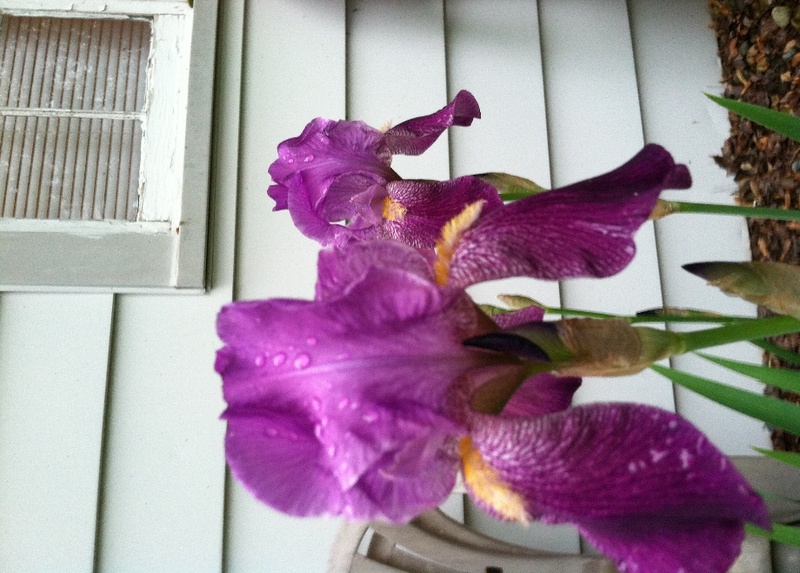 I have a large selection of irises that I ‘saved’ from my neighbor’s yard. A little story about that. When my wife and I moved into our house, the house to the north was vacant and had a large hole in the front yard. So, when the caretakers of that house started mowing the area around the garage, they were going to mow over the irises. I dug up all of them and moved them to my yard, and they have been doing well ever since. This fall I will be working on my front yard to improve the curb appeal. 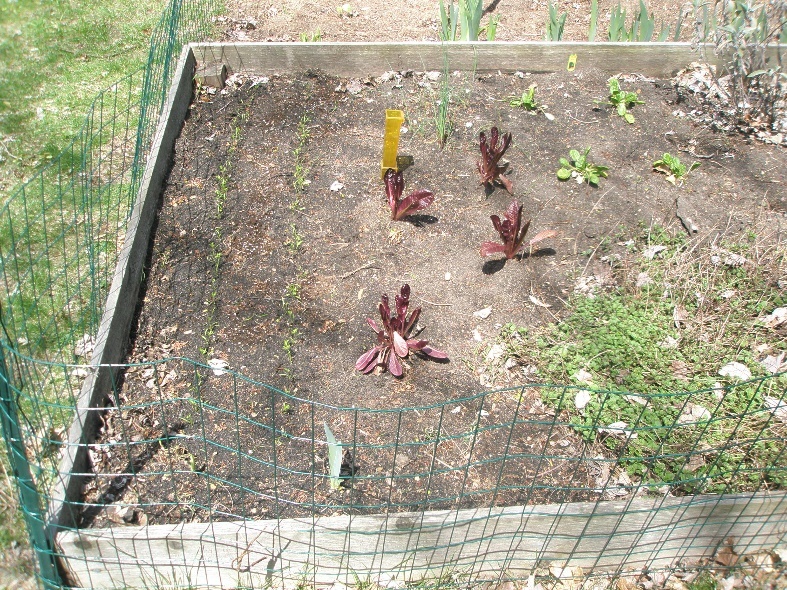 I will also keep improving the soil around the yard so next year I can have more vegetables to enjoy through the year. Having a small, family garden is fun and relaxing but not the size of some of our local farmers that provide our restaurant with locally grown produce. We here at Webster’s Prime support many local farms and farmers to provide the freshest selection of seasonal produce. We would like to thank some of those providers such as Crisp Country Acres, Kirklin Farms, Dan Fitzs’ Greens, and Butternut Sustainable Farms. So go out and plant a garden to reap the benefits!